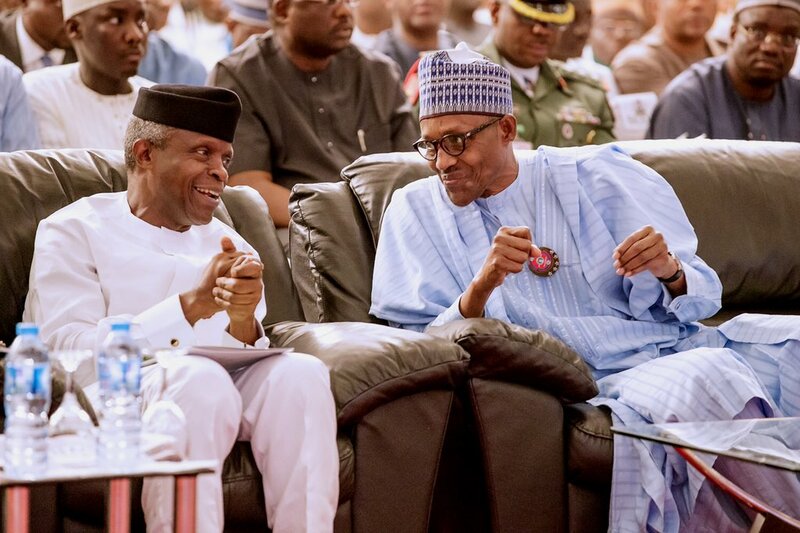 President Muhammadu Buhari is launching his campaign document for the 2019 polls, ‘The Next Level’, ahead of the commencement of formal campaigns by the All Progressives Congress. The event, which is taking place at the Presidential Villa Banquet Hall is also to showcase the achievements of the President since 2015. The Secretary to the Government of the Federation, Mr Boss Mustapha, is doing the slide presentation. Buhari asked Nigerians to re-elect him in 2019, primarily to keep fighting the corruption war his administration started in 2015. He also stated that his commitment to provision of infrastructure, rebuilding the economy and sustaining the anti-insurgency war would be re-doubled if given a second opportunity. The two-part document also show-cased the achievements of his administration in the past three years, especially in the provision of infrastructure and tackling insecurity. The President, whose speech was devoted more to corruption, noted that except the county was rid of the problem, it would get nowhere. He stated, “To succeed, moral integrity and conscience must continue to form the dominant character of our nation and its leadership. “Corruption is an existential threat to Nigeria. Despite the gains we have made in closing the gates, we know that there is still much ground to be covered to stop systematic corruption. We are committed to deepening the work we stated this past term. The President told Nigerians that they were left between leaving him in office to fight corruption or allow the county to return to the past. Buhari added, “The next four years will be quite significant for our country. Nigeria is faced with a choice to keep on building a new Nigeria or to go back to its tainted past, which favoured the opportunistic few. “Our choices will surely shape us, defining clearly, our economic security and our future prosperity. Nigeria, more than ever before, needs a stable and people-focussed government to move the development of our county forward.